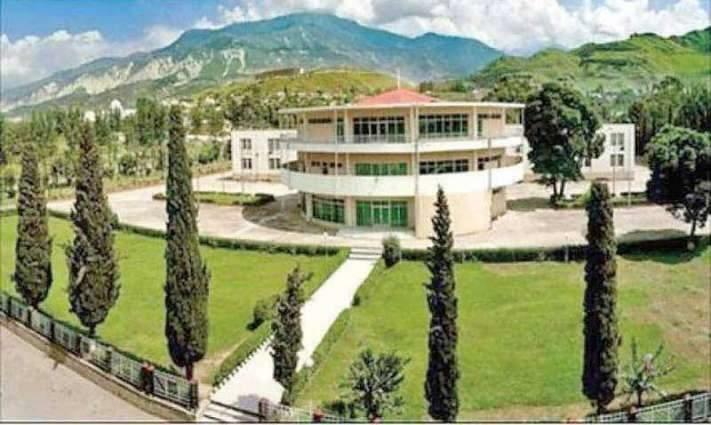 MIRPUR (UrduPoint / Pakistan Point News - 17th Apr, 2019 ) : Azad Jammu Kashmir legislative assembly Wednesday resumed its session and approved number of legislative bills. The house met in the State's metropolis with deputy speaker Sardar Amir Altaf in the chair. Minister of law Sardar Farooq Ahmed Tahir moved "The Azad Jammu and Kashmir anti- terrorism (amendment) Act 2018 for approval which was unanimously approved by the house. He presented report of the standing committee on "the chief election commissioner (terms and conditions amendment) Act 2018 and recommended to approve it. It was also unanimously approved by the house. Replying to a point of order raised by Abdul Majid Khan from opposition benches, law minister assured that appropriate step would be taken after consultation with education minister on increase in school fees by private educational institutions. Private schools should be regulated under rules, he added. He said government had no objection to bring this issue under consideration however there was a mechanism to bring an adjournment motion in the house. Majed Khan wanted to bring adjournment motion on increased fees by private schools but it was opposed by the house. The minister for power development organization Ch. Rukhsar Ahmed said it was an important issue which should be taken up by the government. MLA Pir Ali Raza Bukhari said it was an important issue which was also being mulled at Federal level as to how reforms could be brought about in education sector. He was of the view that public and private schools should have uniform syllabus and educational system. The present education system had divided the public, he added. It should be debated at all levels to evolve consensus, he stated. Abdul Majid Khan pointed out that private schools were charging double fee. There was no one to check them. He said there should be a check and balance on their fee structure. He said this issue should be taken up as it is related to public interest.